But that isn’t necessarily a good thing. Stinky-breathed Komodo dragons probably evolved from a perfectly nice little fish. This packaging was clearly designed by someone who doesn’t speak English – or a LOLcat – as they’ve made the cardinal error of applying logic. Consequently they’ve come up with exactly the mistake that the native speaker doesn’t make. Mind you, they’ve probably just skipped a century or two of language development. If dice is accepted as the singular now, ‘dices’ is surely in the future. Generally I think of myself as a linguistic conservative, on the grounds that language innovations will be different everywhere so older forms are going to be more widely understood. Also, it’s interesting when a word is a misfit. It tells you a lot about its origins – from the Latin ‘datum’ in this case, by way of mediaeval French. Indeed English spelling tells you so much about the etymological origins of a word that it’s basically useless for telling you how they’re pronounced. But die/dice is just annoying. Following the usual pattern, you’d expect the singular to be douse. When a word needs a rule all for itself, you begin to wonder if you’re not overindulging it. I think dice should be acceptable as the singular now. Die can be reserved for the technical phrase “twenty-sided die”. The problem is that ‘dices’ is a perfectly legitimate word, if not at all related to pip-covered cubes, and won’t be caught by a spellchecker. The real question is whether these will also make julienne potatoes. 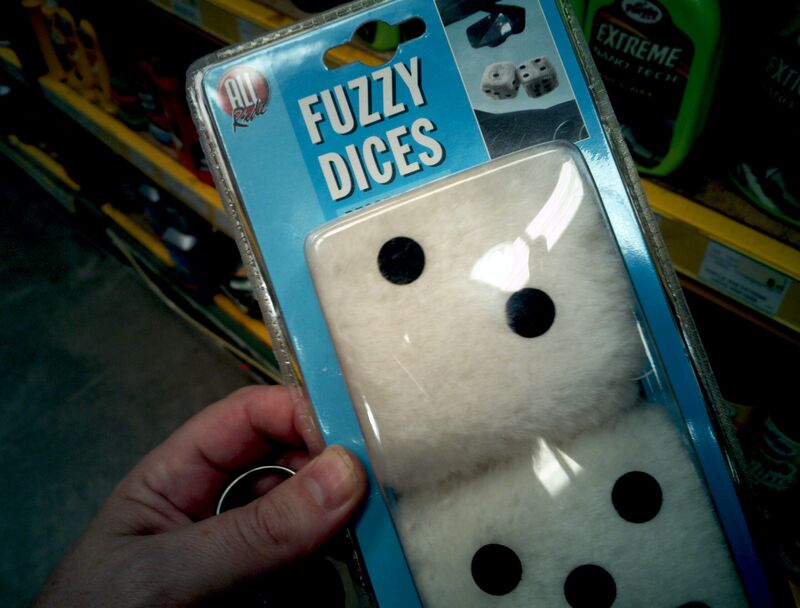 I’d prefer the verb ‘cube’, but ‘dice’ will win because it rhymes with slice, instead of pube. Also, some people instructed to cube three potatoes will cut them into twenty-seven. But they’re probably the same people who use die as a noun.